Optional Single Supplement: $2311 USD (number of singles limited). This tour may require a mandatory single supplement charge of $1155 if you join our share program and we are unable to pair you. 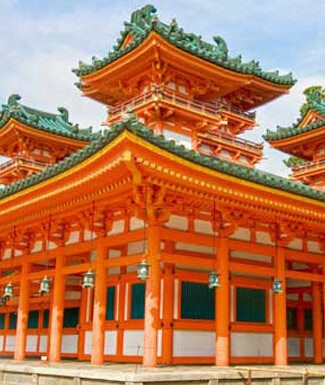 Our Taiwan, South Korea & Japan By Rail Tour is a spectacular 34-day journey that includes a full South Korea land tour package, Taiwan tour package and Japan tour package. It was a great tour. I feel as though I was really immersed in the cultures of all 3 countries. All modes of transportation - buses, trains, subways, boats - were excellent. Today we fly to Seoul/Incheon, South Korea and transfer to our hotel. Seoul is a city of contrasts. In this rapidly evolving metropolis, the traditional exists with the modern in a state of harmony. For over 500 years the seat of Joseon Dynasty kings, Seoul is now the beating heart of modern Korea, the centre to which all else in the country is drawn. This morning we hit the ground running with a full highlight-packed day (please bring everything that you'll need for the day, as we will not be returning to the hotel until after dinner). After an early departure we travel along the Jayuro (Freedom Road) to Imjingak, the northernmost point bordering North Korea. * On the way, we will be able to view barbed wire fences and military guards on duty all the way along the river. At Imjingak, we visit the Mangbaedan Memorial ritual altar which was established in 1985 for those who were separated from their families or displaced from home during the Korean War. It is a symbolic spot used to hold traditional memorial services for ancestors or to pray for separated family members living in the North and for reunification of the country. We will see the Freedom Bridge, the very locale where 12,773 Korean War prisoners walked to freedom to South Korea in 1953. We then board a tour bus that will take us to the 3rd infiltration tunnel dug up by North Koreans. On the 20-minute ride to the tunnel, we pass through the check points, military camps, and mine fields. Before going down to the tunnel, we will view a short video presentation and visit exhibition hall for information on the divided Koreas. A seven-minute tram ride (if available) or a walk down a steep access through a narrow and steep interception tunnel, leads us to the lower platform, a point where we are only 170 meters from the Military Demarcation Line. Our next stop is the Dora Observatory where we can see the whole expanse of the Demilitarized Zone, North Korean propaganda village, Gijeong-dong, where the world's largest flag hangs on a 160 meter-tall flagpole, South Korea's northernmost village of Daeseong-dong and Panmunjom where the ceasefire that ended hostilities was signed. Finally, we visit the functioning northernmost railway station Dorasan, located 700 meters from the Southern Limit Line of DMZ. Here, the mile marker "Seoul 56km/Pyeongyang (the North Korean capital) 205km" still stands tall for all to see. We return to Seoul in time for a break for lunch in Insadong, a lively district known for it's vast array of restaurants, small museums, and shopping. Insadong was originally two towns whose names ended in the syllables "In" and "Sa". They were divided by a stream which ran along Insadong's current main street. Insadong began 500 years ago as an area of residence for government officials. Today Insadong has some of the tastiest food vendors in all of Seoul. One of the main attractions in the area is the ‘Kings Dessert’ or the ‘Dragons Beard Candy’, 16,000 strings of honey wrapped multiple times with a flavouring of either almond, peanut or chocolate on the inside. There are also gooey pancakes and spicy Korean dumplings to sample. missiles and planes, plus stirring war memorials. We finish our day at Namsan Seoul Tower, built in 1969 as Korea's first integrated transmission tower beaming television and radio broadcasts across the capital. Since opening to the public in 1980, it has become a much-loved Seoul landmark. The tower's main attractions include multi-coloured digital art projected onto the tower at night, a digital observatory, a roof terrace, and a number of viewing platforms where visitors can enjoy the cityscape. 32 LCD screens recount the 600-year history of Seoul. This evening we'll have our dinner at the top of the tower and enjoy a typical Korean meal and nighttime views of the city. * Due to an ever-changing security situation, our activities today may be altered, re-routed, or curtailed without notice. This morning we start with a visit to Gyeongbokgung Palace, where we plan to arrive in time for the very colourful changing-of-the-guard ceremony. Of all the tourist attractions in Seoul, the Joseon Dynasty Palaces and, particularly Gyeongbokgung Palace, are the most tangible link between modern Korea and its not-too-distant monarchical past. Not merely inert relics, they are symbols of a deep history and rich culture. Although substantially reduced in number, the remaining palace buildings provide a glimpse of traditional architecture and the overall organization of a palace grounds. As part of our visit, we also include the National Folk Museum, contained within the palace. This excellent museum presents historical artifacts that were used in the daily lives of Korean people in the past. Through the displays, visitors can learn about the domestic and agricultural lifestyles, as well as Korea’s cultural beliefs. Afrer a break for lunch at Gwangjang Market, we proceed to Jongmyo, a royal shrine dedicated to the performance of ancestral rites for the deceased kings and queens of the Joseon Dynasty. Being the place where the royal ancestral tablets are enshrined, Jongmyo's atmosphere is solemn and sacred rather than splendid like the royal palaces. The simple and elegant buildings of this shrine have faithfully kept their original forms since the 16th century. We return to our hotel in the mid-afternoon. This morning we transfer to the airport for our short flight to Jeju Island. has been dominated by women. As such, a common sight around Jeju's coastline is that of the "haenyo" or "woman diver", a figure that has become somewhat iconic of the island. After our arrival we'll have a break for lunch and then immediately head out for some sightseeing. We'll pay a visit to the Folklore and History Museum before heading for the coast where we'll see Jusangjeolli, stone pillars formed when the lava from Hallasan Mountain erupted into the sea of Jungmun. They are rock pillars shaped like cubes or hexagons of various sizes and almost seem as if stone masons had carved them. We also visit Yakcheonsa Buddhist Temple, a relatively new structure built in the style of Buddhist temples of the early Joseon Dynasty. Early this morning we head to Sunrise Peak for a spectacular view of/from this unique caldera/mountain and surrounds. After a break for lunch we'll visit the Jeju Haenyeo Museum, dedicated to the women divers of Jeju before heading to the Manjanggul Lava Tube. Jeju has an extensive system of lava tubes, natural conduits through which magma once flowed, now empty caves that are some of the largest in the world. The insides of the tube is adorned with multi-coloured carbonate decorations and innumerable cave formations commonly found in lava tubes. They include lava stalactites and lava stalagmites, lava columns, lava flowstone, lava helictites and lava blister, cave corals, benches, lava raft, lava bridges, lava shelves and striations. Our last stop is Dol Hareubang, a small park featuring stone sculptures associated with local legends, plus a traditional garden. This morning we fly to Busan, South Korea's second largest city and largest seaport. Busan is known for its beaches, hot springs, nature reserves, and events such as the city's renowned international film festival held each fall. Busan is a good destination for those seeking a more laid back atmosphere than Seoul. Located at the southern tip of the Korean Peninsula, Busan's important port gives the city an international flair, with sailors from around the world trooping through and a growing number of tourists. On arrival we'll visit the Gamcheon Cultural Village, spread out in a panorama of endless rows of low-rise cubicle homes climbing up the steep hillsides, earning itthe nicknames "Santorini of the East." The cheerful blue, yellow and pink hues a delight to the eye. Narrow stone and concrete alleyways wind their way through the homes, yielding something new at every turn. The village used to house the city’s poorest people, but during the Korean War, refugees fled their homes for Busan, which was the only area which was free from fighting. We'll head to the Jagalchi Fish Market for a break for lunch, followed by a visit to the impressive UN Cemetery. This morning we head out of the city to Gyeongju, located on Korea's southeast coast. This was the capital of the 1,000-year Silla dynasty, and is known for its extensive historical remains. We'll visit the 8th-century Bulguksa Temple featuring twin stone pagodas, a series of wooden staircases, and a large bronze Buddha. Afer a break for lunch in Hwanglidan-gil we'll continue to Tumuli Park, which contains 23 of the over 200 royal tombs found in Gyeongju. At times, the sense of history, and of secrets buried along with the royals, is almost palpable in the quiet between the large grass-covered mounds. We'll visit Cheomseongdae, the oldest astronomical observatory in all of Asia The 362 stones that make up the 27-level structure represent each day of the lunar year. Built during the reign of Shilla Queen Seon-deok, it was used for observing the stars in order to forecast the weather. Our last stops include Gyeongju National Museum, largely devoted to relics of the Silla Kingdom; and Donggung Palace and Wolji Pond, once part of the palace complex of ancient Silla. Return to Busan. Today we fly from Busan to Tokyo. Tokyo is Japan's capital and the country's largest city. Prior to 1868, Tokyo was known as Edo. A small castle town in the 16th century, Edo became Japan's political center in 1603 when Tokugawa Ieyasu established his feudal government there. A few decades later, Edo had grown into one of the world's most populous cities. First thing this morning we visit the Tsukiji Fish Market area. This site was the location of the largest wholesale fish market in the world until it was re-located in 2018. However, the area is still a lively retail market with plenty of hustle and bustle -- definitely an interesting visit before we move on the the Imperial Palace. The Imperial Palace, or Kokyo, built on the site of the Edo-jo Castle, is an impregnable fortress that housed the Tokugawa Shogunate for 265 years. Surrounded by moats, the original outer walls extended for over 16 km (10 miles) and were thick enough for a squad of samurai to walk six abreast on top. Even in its original state, it deceptively looked more like an administrative villa than a fortress. Once inside, it was a maze of moats, bridges, dead-ends and cul-de-sacs, all perfect for defense, and now perfect for private and public strolling parks and gardens. Occupied by the shogunate for 265 years until Emperor Meiji moved the court here in 1860's, the buildings survived until they were all but obliterated by the fire bombings of WWII. After peering into this amazing complex, we continue on to Ginza. We will take a stroll through the food halls where you will see the amazing variety of beautifully-presented foods being sold at unbelievably high prices. Seeing where and how the Japanese shop, what they buy, for whom and for what occasion, offers instructive glimpses into a highly sophisticated social strata where conventions of human interaction and presentation are minutely-defined. We continue from here on to Ueno, home to the National Museum and the finest collection of Japanese art in the country. After our guided tour of the museum we will return to our hotel. This morning we venture (private coach) to Kamakura, the capital established by the Shogun Minamoto Yoritomo in 1192. He was the first permanent shogun and ruler of Japan. His motivation was to get away from the corrupt imperial court of Kyoto. Within the next century many grand monuments were built, and has 65 Buddhist temples and 19 Shinto shrines located amongst its wooded hills. An easily defendable site, surrounded on three sides by hills and the fourth by the sea, is a dramatic setting for our wanderings through the area. One of the highlights here will be a visit to the Daibutsu, or Great Buddha; the second largest bronze image in Japan. We will also visit a beautiful Zen garden set within a bamboo forest. We return to Tokyo in the mid-late afternoon. This morning we take a short metro (train) ride* to Odawara Station where we connect with our private coach towards Lake Ashi near Hakone. Your larger bags (one per person) will be shipped ahead to Takayama, and you will need to pack an overnight bag to carry with you for the the one overnight in Hakone. Shortly after we leave the station, we'll make a brief stop to see Odawara Castle (exterior visit only). Wedged between Mt Fuji and the Izu Peninsula, Hakone is a large region encircled by several forested mountains with a beauty accented by deep glens and ravines. In the feudal era, Hakone was a very important checkpoint that safeguarded the security of Edo (now Tokyo) as the seat of the Shogunate. This onsen (hotspring) area has been popular since the 1500s, when Hideyoshi Toyotomi came here to relax in an open-air bath after the hard fought Battle of Odawara. From the castle town of Odawara we board a bus that takes us into the National Park. We then board a lake cruiser on Lake Ashi for scenic views of the surrounding mountains. Weather permitting, we can enjoy views of Mt Fuji. One of the highlights today will be our visit to the Hakone Outdoor Museum, or Chokoku-no-mori, a beautiful park filled with sculptures by renowned Japanese and international artists such as Rodin, Bourdelle, Moore, Zadkine and Picasso. Tonight we will enjoy a Keiseki-type meal at our ryokan-style hotel. Originally this type of dining was to accompany tea ceremony and is a feast for both the eyes and the taste buds. You can feel free to wear your yukata, or bathrobe (provided by the hotel) to the dining room tonight as many of the Japanese do when they stay in ryokan, a perfectly wonderful place to relax after leaving busy Tokyo behind. Our rooms are traditional style with tatami flooring and futon beds. * PLEASE NOTE: We use the rail system quite extensively on this tour, YOU MUST BE ABLE TO MANAGE YOUR OWN BAGS ONTO/OFF TRAINS AND IN TRAIN STATIONS. Japanese stations can be large and crowded and may not have escalators or elevators. Packing lightly is essential. If you are unsure about your suitability for this type of trip, please refer to our website entry for this tour or speak to one of our sales agents for more information. Today we travel by Bullet Train to Takayama. The region known as Hida, which surrounds Takayama, was cut off from the rest of Japan by almost impregnable encircling mountains. Hida lacked good farmland, which made taxpaying from an agricultural livelihood an impossible burden upon the people. Necessity caused them to diversify, so the craftsmen of Takayama honed their tools to a sharpness matched by their skills and became known as the finest woodworkers in the land. The mountains yielded the most coveted lumber in the empire, which Takayama's artisans fashioned into magnificent works worthy to adorn Japan's finest temples, shrines and palaces. During the Nara period, the central government, in lieu of taxes, required ten Takayama craftsmen to relocate to the capital, where their considerable talents were employed. During the Tokugawa era, the ancestral daimyo of Takayama was reassigned to the far north. Our train journey today takes us through the scenic Hida River Valley. We arrive in the late afternoon and will have time to wander through the lovely town of Takayama and the merchant quarter of San-machi with its historic wooden structures. This morning we will visit the colourful early morning market before heading to the Hida Folk Village, consisting of over 30 unique houses which had been scattered in the Hida region. The houses are attractively laid out around a small lake and display valuable articles showing the way of life and culture of the past. The style of architecture is called gassho-zukuri, or "praying hand" houses, because of the steep pitch of the roofs reminiscent of two clasped hands in prayer. This was to protect the occupants from the large amounts of snow that fall here over the winter months. Upon our return to the town centre we will visit the Yatai Kaikan, or Float Museum. Your afternoon is at leisure. Takayama is a small, interesting and manageable place for those who enjoy easy going, on-foot exploration. Our journey continues back through the Hida Valley to connect with the Shinkansen Train in Nagoya. Kyoto vibrates with creative energy. For 1,000 years, skilled craftsmen, wise masters, and the nation's most promising fine artists have been lured here. The deep impress of culture and the refinement is indelible; it's in the soul of the city. A long line of Japanese emperors was enthroned here, and the city retains this regal bearing through myriad festivals and commemorative customs preserved from feudal times. In diminutive home workshops along cobblestone alleyways no wider than a footpath, lacquerware, cloisonne, damascene, kimono fabrics, pottery, porcelain, fans, dolls, embroideries, and bamboo ware are still expertly turned out by hand. Kyoto attracts a sophisticated crowd to its vibrant Noh and Kabuki theatres, while the last geisha finishing schools are found in the lantern-lit side streets of the Pontocho and Gion sections of the city. Thankfully, Kyoto's treasures were spared from bombing during WW II, when American scholars persuaded the military to leave this masterpiece of a city alone. Though Kyoto is now a thoroughly modern city, much of its spirit is intact, with over 200 Shinto shrines; 1,600 temples, 30 of which administer to the major sects of Buddhism throughout Japan; three Imperial palaces; nine major museums; and countless classic gardens. We arrive in this fascinating city mid-afternoon. Tonight we will venture to the Pontocho District, one of the traditional geisha quarters of Kyoto and next door to its rival Gion. Wandering down the narrow lanes with the Kama River flowing alongside gives a sense to what this city was like long ago. We have a full day sightseeing in Kyoto. We visit Heian Shrine, built in 1895 to commemorate the 1,100th anniversary of the founding of the capital. It is a replica to three-fifths of the size of the first imperial palace in the ancient capital Heiankyo. Behind it, there is a beautiful go-round style garden with a total area of 30,000 sq m which is well known for the beauty of its weeping cherry trees, Japanese iris, and waterlilies. Next is Sanjusangendo, the popular name for Rengeo-in, a temple famous for its 1001 statues of Kannon, the goddess of mercy. The temple was founded in 1164 and rebuilt a century later after the original structure had been destroyed in a fire. The temple hall is with 120 meters Japan's longest wooden structure. The name Sanjusangendo (literally "33 intervals") derives from the number of intervals between the building's support columns, a traditional method of measuring the size of a building. In the center of the main hall sits a large, wooden statue of a 1000-armed Kannon (Senju Kannon) that is flanked on each side by 500 statues of human sized 1000-armed Kannon standing in ten rows. Together they make for an awesome sight. We continue to Ginkakuji, the Silver Pavillion, and proceed to Kinkakuji, the Golden Pavilion, one of Japan's most famous architectural and historical icons. We also visit Ryoan-ji, the famous raked gravel Zen Garden, for which the Zen Buddhists are renowned. The essential dichotomy and harmony of the universe, which lies at the heart of this belief system, is symbolized in these tranquil gardens. NOTE: In order maintain a certain spontaneity during our time in Kyoto, the exact sites visited and their order in the itinerary may vary at the discretion of your Tour Leader. Today we travel by local train to Nara. The crest of every mountain, the slope of every hill, the mute testimony of every rock, the waterfall, rivulet, and the valley of Nara are infused with the intangible spiritual energy that accompanied the birth of the Japanese civilization. Nara, meaning "level land, " occupies the great basin of what was Yamoto, or the Land of Great Peace. Here was the centre of the half-real, half mythical kingdom of Japan before it became a nation. Jimmu Tenno, the first emperor of Japan, was purportedly buried at Nara, the Imperial Japan, the oldest existing dynasty in the world, established its first permanent court within the city in 710. Arts, culture, and literature also bloomed in this fertile valley. The earliest histories of the nation were compiled in Nara by noble court ladies in colloquial Japanese, and from the ancient city Buddhism spread throughout the land. In its glory days, Nara covered an expansive area linked by palaces, temples, shrines, public buildings, and nobles' villas. The temples were massive and extremely powerful, almost like independent city-states. Numerous fires, the ravages of time, war, and pestilence have reduced many of the ancient structures, but plenty remain in their original states, especially in the eastern sections of the city. Part of this legacy is the Great Buddha of Todai-ji Otera, the largest bronze statue in the world, tipping the scales at over 500 tonnes. Nara Koen, at over 500 ha (1235 acres), is Japan's largest park and is home to the sacred deer of nearby Kasuga Taisha. This shrine, moss-covered and illuminated by over 3000 stone lanterns, was first erected in 768 and is second in importance only to the Grand shrines of Ise. As we walk through this park dotted with temples and deer wandering about, you will be struck at how the sublime cultural richness of the quiet past lingers on. This morning we visit Nijo Castle, built in 1603 as the Kyoto residence of Tokugawa Ieyasu, the first shogun of the Edo Period (1603-1867). His grandson Iemitsu completed the castle's palace buildings 23 years later and further expanded the castle by adding a five story castle keep. After the Tokugawa Shogunate fell in 1867, Nijo Castle was used as an imperial palace for a while before being donated to the city and opened up to the public as a historic site. Its palace buildings are arguably the best surviving examples of castle palace architecture of Japan's feudal era, and the castle was designated a UNESCO world heritage site in 1994. The balance of the day is yours to explore Kyoto on your own. A good place to start may be the small Japanese garden named Shoseien, located another few street blocks east of Higashi Honganji. Your Tour Leader can help you plan your afternoon. Today we take the Shinkansen train to Hiroshima. Passing through Osaka and Kobe, just minutes from Kyoto on this fast train, we will arrive at our destination in just a couple of hours. Modern Hiroshima rose like a phoenix from its own ashes. Less than five decades since its obliteration, it is once again the most vital city of San-Yo with a population of one million and growing. Hiroshima is referred to as the "River City." In its confines, the Ota-gawa River fans out into six delta tributaries that flow into the immense and very busy bay. In the years just following the A-bomb blast, scientists doubted if Hiroshima could ever live again. Today the streets hum with activity, trees and flowers grow, and birds sing. Nature may not forget, but it does forgive! On the morning of August 6, 1945, the people of war-torn Japan hurried to begin the day. Then suddenly buildings melted, people evaporated, and humankind lost the first battle of the atomic age. Seventy thousand buildings were flattened and 200,000 people perished, the lucky ones quickly; the unlucky lingered. Hiroshima, fringed by mountains forming a natural amphitheatre, seethed and fumed. Our visit takes us to the Peace Memorial Park (Heiwa Kinen Koen). Here the Cenotaph, shaped like an ancient tomb, holds the names of the dead. The prayer, the hope, the Japanese reads "Repose ye in peace, for the error shall not be repeated." The skeleton of the Atomic Bomb Dome (Genbaku Domu) turns green with age against a blue sky. Until all nuclear arms are banned and destroyed, the Eternal Flame will flicker. We will visit the Peace Memorial Museum and walk to the A-Bomb Dome, passing the many monuments, memorials, and statues. Today we travel by train and ferry to Miyajima where we spend the day. Since ancient times, Miyajima has been regarded as one of the "Three Most Beautiful Spots" of Japan and, as part of the Seto Inland Sea National Park, it has received several distinctions, such as a place of extraordinary scenic beauty, exceptional history, and a natural monument. The virgin forests neighbouring Mt. Misen are representative of the lush greenery and abundance of nature which still covers the entire island even now. A surprisingly large number of southwestern Japan native botanical specimens can still be found on Miyajima. The island is like a miniature model of Japan, showing the harmonious ecology of all living things from the ocean depth to the top of mountains. Our walking tour of the island will include a visit to the famous Itsukushima Shrine, which together with its large wooden tori, stands in the ocean during high tide. * You will also have some free time to admire this World Heritage Site before returning to Hiroshima. * Please be advised that, from approximately summer 2019, the tori is scheduled to undergo regular maintenance. This occurs every 30 years and can, depending on its needs, take anywhere from 6 months to two years to complete. Please be prepared for the gate to be either partially or completely covered by scoffolding during this time. Today's Shinkansen train journey takes us along the eastern coast of Kyushu to Kagoshima. Kagoshima City is the capital of Kagoshima prefecture. The city originally prospered as the castle town of Lord Shimadzu, and was the first city to introduce western civilisation to Japan. Today, it is the largest City in Southern Kyushu with about 540,000 people. Kagoshima City nestled on the west shore of beautiful Kinko Bay with majestic Mt. Sakurajima (the symbol of Kagoshima) is referred to as the Naples of the Orient. One of Kagoshima's greatest contributions to modern Japan is it's role over the centuries as a gateway for trade and exchange between Japan and the world. Japan has traditionally been a closed culture and only recently pursued international ties. Kagoshima is the catalyst city credited for "opening Japan to the World". In 1543, a Portuguese vessel landed on Tanegashima one of the southern islands, bringing the first firearms to Japan. In 1549 The Spanish missionary Francisco Xavier landed in Kagoshima and introduced Christianity to Japan. During the 17th century, the shogunate had an "isolation policy" which prohibited contact with other nations; however, Satsuma (now Kagoshima) continued to trade with China, and sent students to England to study Western culture. Upon arrival we have an excursion by boat and bus to Sakurajima, one of Japan's most active volcanoes and the symbol of Kagoshima. The volcano smokes constantly, and minor eruptions often take place multiple times per day. Located in the middle of Kagoshima Bay, Sakurajima is the area's most prominent geographic feature, having an elevation of 1117 meters and a circumference of about 50 kilometers. Before a powerful eruption in 1914, Sakurajima used to be an island in the bay, but the massive lava flow from that eruption created the volcano's current land connection to the Osumi Peninsula in the east. We'll visit the Sakurjima Visitors' Centre, which has models, pictures, videos and information boards about Sakurajima. Today we have a full-day tour of the Ibusuki region near Kagoshima. Ibusuki is located on the southeast tip of the Satsuma Peninsula and is a famous resort area. Blessed with great weather, hibiscus flowers blossom all throughout the area, yet Ibusuki is best known for its steam and baths, heated by natural subterranean geysers. We visit Chiran, a small town in the middle of the Satsuma Peninsula. Within the town there is a preserved samurai district with houses and gardens that date back about 250 years. Chiran's isolated location at the southern end of Kyushu has allowed the district to keep much of its historical character intact. The preserved Samurai District consists of a 700 meter long street within downtown Chiran that runs parallel to the main thoroughfare. The street itself is very attractive, with the rock walls and hedges of residences and the forested hillsides in the distance. Unlike some other samurai districts, it is also free of telephone poles and parked cars that would detract from the historic atmosphere. We stop at the Chiran Peace Museum For Kamikaze Pilots. This is a thought-provoking, and to many, a controversial museum dedicated to the lives and deaths of 1,036 suicide pilots or kamikaze (more commonly known as tokkoh-tai-in Japanese), who sacrificed themselves in the name of the Japanese Emperor in the latter stages of World War II. At some point in our day, we will also visit a Shochu distillery. Shochu is a Japanese traditional hard liquor, distilled spirits made from grains and vegetables. The most common base ingredients are sweet potato, barley, rice, buckwheat and sugar cane. We'll like have a factory tour which includes an opportunity to taste and purchase this unique spirit for which this region is famous. You'll also have a chance to experience a unique activity for which this region is renown. Blue-robed visitors come and lay in warm sand pits and are gradually covered with volcanic sand up to their necks. The weight and heat of the sand assists in the body's blood circulation and, after about 10 minutes, the whole body begins to perspire. It is a relaxing sensation both young and old alike enjoy. Still in Kagoshima, we visit Iso Ko-en Gardens, a wonderful garden with Mount Sakurajima as borrowed scenery in the background. The volcanic soil is extremely rich and the farmland at the base of this mountain is testament to its value. Later we travel by train to Nagasaki, arriving in time for dinner. Blessed with a temperate climate, a superb setting, and a history unlike that of any other prefecture in Japan, Nagasaki easily ranks as one of Japan's most rewarding and exotic destinations. Much of the prefecture's considerable charm can be traced to the unique role which the region played in Japanese history. From 1639 to 1859, while the rest of the country was secluded from foreign contact by governmental decree, the port of Nagasaki alone was allowed to conduct trade with Europe and the Asian mainland. This free-port status and the prolonged exposure to foreign cultures which it brought resulted in the creation of a sophisticated and liberal climate which no other part of Japan could hope to emulate. Both compact and cosmopolitan, it has a rich range of historic sights and wonderful restaurants. Today we visit the Nagasaki Peace Park, commemorating the atomic bombing of Nagasaki of August 9, 1945, which destroyed wide parts of the city and killed tens of thousands of inhabitants. The park is home to the massive Peace Statue as well as various other memorials. A monument around a black pillar marks the atomic explosion's epicenter in the nearby Hypocenter Park and stores the name list of bomb victims. We also stop at Shimabara Castle, a white-walled castle built during the early Edo Period as the seat of the local feudal lord. The castle was the extravagant centerpiece of the feudal domain and was far larger than those found in domains of similar status. We then head to Mount Unzen, which has had several major eruptions in recent history, the deadliest of which occurred during the late Edo Period and resulted in the deaths of 15,000 people. The volcano erupted most recently from 1990 to 1995, sending pyroclastic flows (superheated clouds of volcanic gas and ash) down toward the town below. While most people were safely evacuated, 43 journalists, scientists and their taxi drivers were killed. Much of the volcano's destruction was due to large mudflows of volcanic ash, known as 'lahars,' which flowed down the mountainside, burying several homes and buildings that lay in their path. We will visit a small collection of these Buried Houses at the Mizunashi Honjin Fukae Michi no Eki roadside park. A few of the houses are protected under a dome. Nagasaki's attractions are as varied as they are plentiful: feudal castles, samurai houses, Meiji-era Western villas, smoking volcanoes, mineral-rich hot-spring baths, architecturally pleasing resorts, rugged islands, beautiful beaches, and a hospitable and friendly people are just a few of the rewards awaiting the traveller to this diverse and dynamic prefecture. This morning we will start with a trip to Glover Garden, named after Thomas Glover. This is a collection of European style houses which have been collected in to this park which cascades down the side of a hill. In addition to the houses which you can go through is the Museum of Traditional Performing Arts which contains beautifully decorated floats from the Kunchi Festivals. We will then ride the streetcar to the Nagasaki Dejima Museum. Dejima was an artificial island built in 1636 in Nagasaki Bay for foreign traders, as foreigners were banned from the country. This was a vital portal through which culture, money, goods, and ideas flowed in and out of Japan. This afternoon is free for you to enjoy this wonderful city. Nagasaki has an interesting Chinese Confucian Temple that you may like to visit on your own, as well as a vibrant Chinatown. And, of course, the compelling Nagasaki Atomic Bomb Museum commemorates the explosion of the atomic bomb that devastated Nagasaki at 11:02am on 9 August 1945. Today we travel by bus through Saga Prefecture, Japan's most important area for the production of traditional porcelain and pottery. Many of the kilns were established by potters who were taken to Japan from Korea after the war between Japan and Korea in the 1590s. Arita ware originated in the beginning of the 17th century when layers of kaolin, the main component of porcelain, was discovered and the first porcelain kiln was built in present day Arita town. Arita is also called Imari ware because the products of the Arita Kiln were mainly shipped from the nearby port of Imari. Arita porcelains of the early days were typically made in the Chinese style of the period, with deep blue patterns on a white background, called "sometsuke." In the 1640s, a new style called "aka-e," characterised by bright colours and bold patterns principally in red, was invented. These two styles, sometsuke and aka-e, dominated Arita-Imari ware. These beautiful pieces of white earthenware from the Orient won tremendous acclaim in Europe and influenced the European porcelain industry. Our first stop will be at the hidden village of Imari, and Karatsu will be our last stop before arriving in Fukuoka. Fukuoka is a city blessed with a beautiful climate and a seaside location. Since ancient times the city has flourished as a crossroads of international exchange. It is said that the earliest Japanese state mentioned in historical records, Nakoku, was located in the area where the city is now located. Foreign culture first entered Japan through Fukuoka. The Gold Seal discovered across the bay from Fukuoka City on Shikanoshima Island symbolises the long history of the area. This seal, inscribed "King of the State of Na of Wa, or Japan, and Vassal of the Han Dynasty", dates back to AD 57. Today we embark on a half-day tour of Fukuoka, including the Kanzeonji Temple, Dazaifu and Temmangu Square. The afternoon is at leisure to explore on your own. * LAND ONLY PASSENGERS: If you are booking your own flights and are tempted to purchase a ticket in/out of Tokyo only, it is, in theory, possible to travel by train from Fukuoka back to Tokyo, but this is a rather long journey (8 hours) and can involve multiple train changes which, in Japan, can be daunting. Accordingly, if you need to return to Tokyo to fly from there, we recommend that you build in a flight from Fukuoka to Tokyo in order to make this connection. Tmark Grand Hotel Myeongdong is conveniently located in the heart of Seoul with convenient transportation access to Myeongdong, Namdaemun market, ...	Nam, Seoul Station, National Theater, Seven Luck Casino, Cheonggye Stream and Insadong…etc. Featuring city or sea views, the bright, contemporary rooms include flat-screens and free Wi-Fi, plus sitting areas, and tea and ... Some rooms offer tatami floors and traditional short-legged tables. Suites add living rooms. Club rooms include access to a private lounge offering complimentary breakfast. 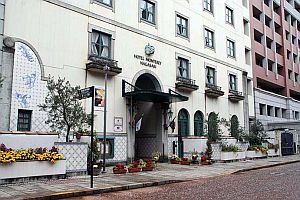 Right in the city heart, this hotel with its distinctive exterior is perfectly located for business and pleasure, served by ...	subway lines and convenient to business, government, fashion and entertainment districts. A shopping arcade runs the length of the block-long building, with a variety of designer labels represented. Features: Satellite TV, telephone, refrigerator, hair dryer. Hotel Kajikaso is proud to offer a wide range of Onsen Hot Springs facilities including, an open-air bathing area, a ...	bathing area, and a large bathing spa with wooden bathtubs made of Hinoki (Japanese cypress). Exceptional Japanese cuisine is also another outstanding feature of Hotel Kajikaso, where you can enjoy traditional Japanese cuisine which fresh seafood from Sagami Bay. A 3-minute walk from a metro station, this unfussy hotel along a busy street is 17 minutes' walk from 17th-century ...	Castle and 2 km from Yasaka Shrine. 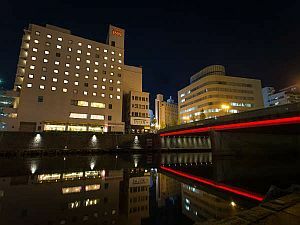 Set in a high-rise tower, this modern hotel is a 5-minute walk from the nearest tram stop, a 12-minute walk ...	the Hiroshima Peace Memorial Park and 2 km from Hiroshima Castle. A minute’s walk from Takamibashi train station, this bright, upscale hotel is 2 km from Reimeikan museum and 13 km ...	Sakurajima, an active volcano. Featuring design elements inspired by ancient Portugal, this upscale hotel is a 7-minute walk from the Nagasaki Prefectural Art Museum ...	a 9-minute walk from a tram station. Breakfast and dinner (mostly at local restaurants) are included daily. All transport, accommodation, sightseeing and entrance fees for sites noted as 'visited' in the detailed itinerary. Gratuities for restaurant staff, porters, local guides. Airport transfers for land & air customers arriving/departing on tour dates. International airfare to/from the tour. Tour Leader gratuities, lunches, drinks, personal items (phone, laundry, etc), domestic and international (if applicable) air taxes, and any excursions referenced as 'optional'. Airport transfers for Land Only customers. Optional trip cancellation insurance. Our post-reservation trip notes offer further guidance on shopping, not included meals. Our autumn tour can expect warm temperatures with moderate humidity. For our fall (Sep/Oct) departures, temperatures range from 20-25C (68-76 F). Rain showers can occur at any time, though their likelihood decreases the later we get into the fall. Spring will experience slightly cooler temperatures and the same possibility of rainfall. Our spring date may feature annual cherry blossoms at some locations. TAIWAN & KOREA: Private air-conditioned bus; internal flight via scheduled carrier. JAPAN: Our primary means of transportation throughout Japan is via the very efficient rail system, including the famous Shinkansen, or Bullet Train. Distances are not great and most journeys are only a few hours duration. A combination of buses and taxis will be used elsewhere as part of our local sightseeing program. The tour is physical in that it is busy and that YOU MUST BE ABLE TO MANAGE YOUR OWN BAGS ONTO/OFF TRAINS AND IN TRAIN STATIONS. Japanese stations can be large and crowded; you must pack VERY lightly, preferably in "wheelie" type, soft-sided baggage or backpacks that you can fit into the overhead luggage compartments in the trains. You must also be steady on your feet and be able to endure some long days. We have numerous walking tours and visit several sites that are LARGE with steps and uneven surfaces. All hotels are centrally-located, air-conditioned, 3-4 star standard with private bath facilities. We spend one night at a traditional Ryokan (in Hakone), which features tatami rooms and futon bedding. Laundry service is available at most hotels (except Hakone) for a rather high price. All hotel rooms are well equipped and usually include coffee/tea making facilities. Most hotels have hairdryers and irons. Some hotels have indoor/outdoor swimming pools. Single rooms are limited in number and possibly smaller than twins. Porters are generally available (see 'Inclusions').